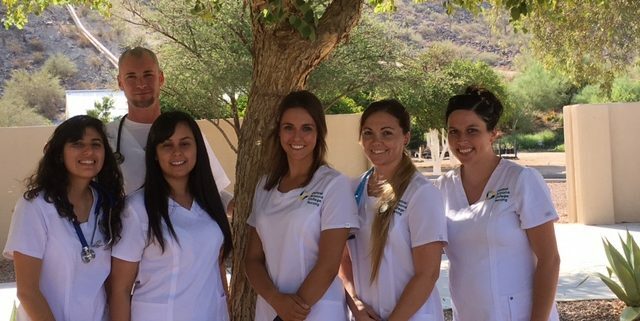 The CAC/NAU CEP is designed for qualified associate degree nursing students who are interested in earning their Bachelors of Science in Nursing (BSN) degree while pursuing their Associate’s degree in Nursing at Central Arizona College. When followed in sequence, this program enables students to complete their BSN degree concurrently in the same semester as graduating with their AAS degree. 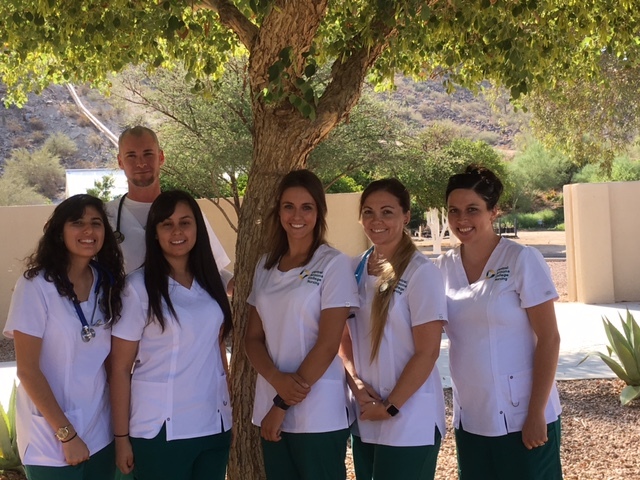 Students enrolled in the CEP will follow the traditional course of study for all CAC students pursuing their AAS degree in Nursing, but at the same time they will also be enrolled in required NAU nursing courses. Because NAU courses are taken online or in hybrid format, all NAU courses using a hybrid format will be offered in the Coolidge/Casa Grande area. Completed attendance at a CAC/NAU CEP Information Session. A completed CAC Nursing Application: Students submit completed application and appropriate supportive documents including transcripts and HESI A2 exam scores to CAC (deadlines are listed on CAC’s Nursing website). Students interested in pursuing the CAC/NAU CEP have the option to indicate their interest on the application, so that NAU advisors will evaluate their admissibility to the CEP, following their acceptance into the CAC Nursing program. A minimum GPA of 3.0 in all CAC and NAU prerequisites that are noted with an asterisk on page 3. All CAC prerequisites must be completed by the time of CEP application submission in order for a student to be considered for the CAC/NAU CEP. Students may have up to 7 credits of NAU prerequisites in-progress when they submit their CEP application. In-progress coursework must be verified through unofficial transcripts attached to the CEP application. All NAU prerequisites must be completed before NAU Nursing coursework begins (Semester I on pages 6-7). Verification of all Health and Safety requirements of Central Arizona College and NAU’s School of Nursing after acceptance to the CEP program. Only the applications of students accepted to the CAC Nursing program will be evaluated by NAU’s advising team for further acceptance into the CEP. All students must complete both NAU and CAC program prerequisites as noted above. To ensure that prerequisites meet program requirements, students are encouraged to meet with CAC and NAU Nursing advisors. Students must attend a CAC CEP Information Session prior to applying to the program. Final determinations of transfer credits will be made by CAC and NAU admissions committee members. Application and acceptance to NAU’s School of Nursing is completed after eligibility into the CEP is determined. If you are currently enrolled and taking courses at CAC in a nursing cohort, you are not eligible to transfer into the CEP Program. Please refer to the www.nursing.nau.edu website to explore RN to BSN degree options. STEP 1: Student seeks advisement about course requirements for the CAC and NAU CEP program. STEP 2: Student completes all prerequisites for CAC and NAU to be considered for the CEP program. STEP 3: Student attends a CAC Information Session and receives an application. STEP 4: Student submits application with HESI A2 scores, transcripts, and supportive documents before the application deadline. STEP 5: CEP Acceptance Committee reviews applications and determines applicant acceptance. STEP 6: Applicants selected for CAC Nursing placement notified of CAC admission status and accept/refuse placement. STEP 7: Applicants selected for CAC/NAU CEP placement notified of CEP admission status and accept/refuse placement. STEP 8: Admitted students will be contacted by the NAU advising team with steps to apply to NAU’s Undergraduate Admissions. Following admission to CEP and NAU, students will be automatically enrolled into NAU classes. STEP 9: Student begins NAU classes in the summer or fall and begins CAC Nursing classes in the subsequent fall or spring semester. STEP 10: Student graduates from CAC with AAS degree in Nursing and graduates from NAU with BSN degree; take and pass NCLEX-RN.